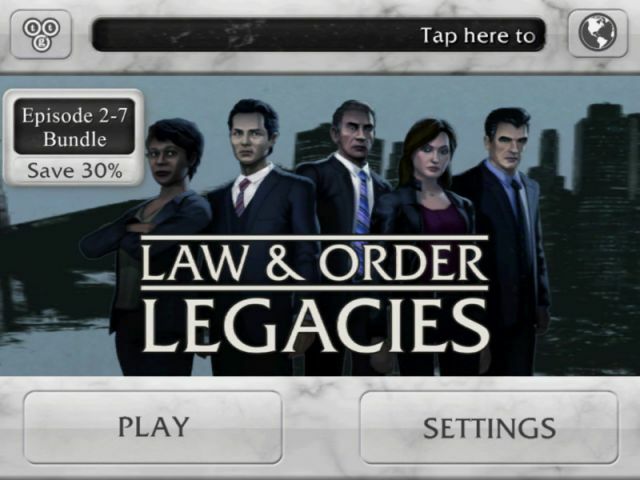 Based upon the hit TV show Law & Order, the conversion by the well-known game studio Telltale Games creates a mobile video game structured as an episode-based puzzle type game with the signature jazzy theme song of the show that lets the player be an NYPD Detective. 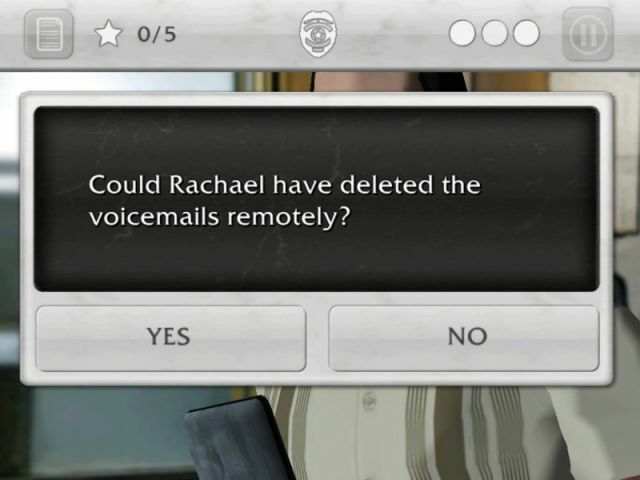 Modeled along the same lines as the TV show, the game offers the player a "season" of seven (7) episodes - this review is based upon the first episode, whose title is "revenge" which costs $2.99 for iOS. The rest of the season - Episodes 2 thru 7 - can be purchased either individually for $2.99 each, or as a bundle for $12.99. 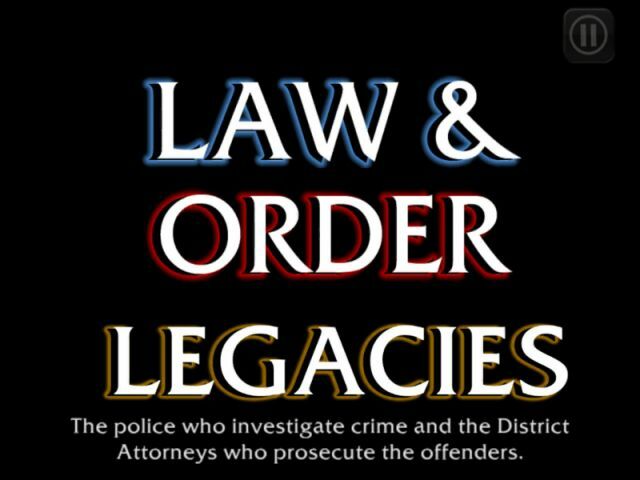 The graphical world is very similar to the TV show in that it presents short full-motion events that set up the crime that you will be investigating. Your partner Olivia more or less serves as the narrator for you - pay attention to what she says, because while most of the clues will be found at the crime scene and through the interview process with witnesses, sometimes your partner will provide direction or a clue thru their own observation of the crime. As you gather clues by interviewing the witnesses, the clues are retained in your notebook. Each time that you ask a witness a question they will give you their answer and it is up to you to pay close attention to what they say and, more important, how they say it in order to figure out whether they are being truthful. After they answer you are charged with deciding whether or not they are telling the truth - if you are right, you score better and perhaps obtain some useful information. If you are wrong, then you don't score better and you don't get a useful clue or clues. Each correct answer you obtain earns one star - and the total stars that you earn throughout the episode will at the end determine your Detective Rating. Working your way through the questions and getting them correct can lead to additional questions and bonus stars, so taking it slow and being careful to pay attention to every aspect of the conversation (including your partner's observations) is the ticket. If you forget what your partner or a witness told you there is an icon for your notebook you can tap to review those conversations. Getting the questions (and their answers) correct can lead to additional topics that you can ask about so, even if you already obtained the target number of stars getting more and getting bonus stars will ultimately lead to a better over-all score as a Detective. When a witness tells you something that indicates a piece of evidence might be present at the crime scene remembering that for later use is a very good tactic. One of the nifty elements of the game is at the end of each scene, after you have received your score, you can choose to replay the scene for a better score of you like. To make the investigatory process a little more interesting they sprinkle in what they call "Red Herring" questions that have nothing to do with the investigation, and will not obtain useful information. While discovering Red Herrings does not add to your score the game does keep track of how many you find. Following the Witness Interview stage you dialogue with your partner and then get access to the crime scene which you search for clues and evidence. 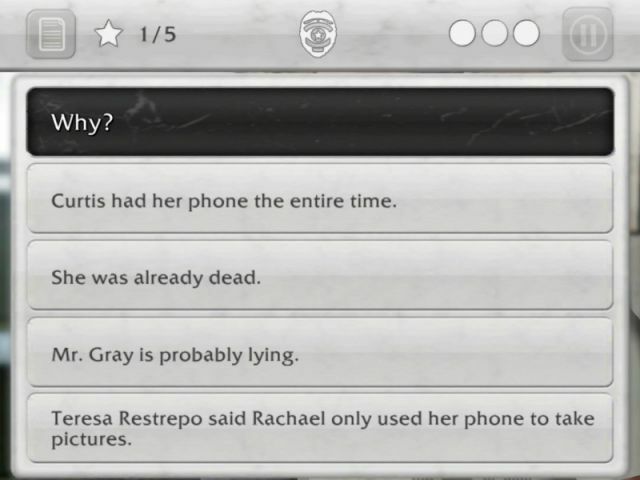 The game creates a list of any objects or evidence you need to look for that is revealed through witness statements and the skilled supposition of your partner. During the tutorial phase of the first crime scene you are introduced to the touch-based investigation system - bearing in mind that there is a limit to how much search and discovery you are permitted to complete in the form of a counter. By finding each of the listed items - and not making any mistakes - you are given the opportunity to demonstrate how sharp a detective you are and, naturally, score better as a result! Completing the investigatory phase of the crime causes you to return to the precinct house where you will be treated to various conversations with other members of the squad and your commanding officer. 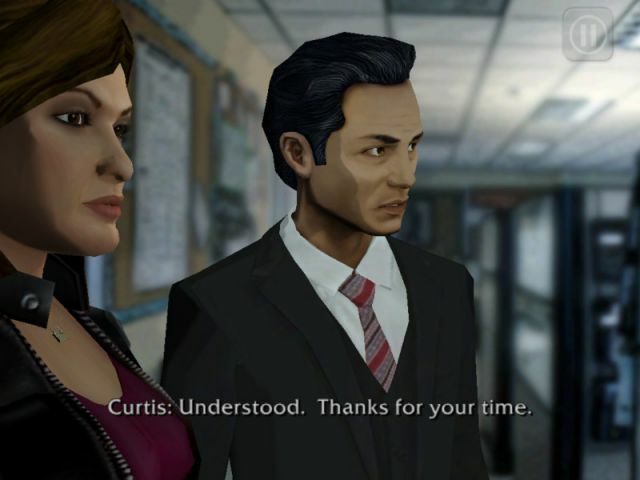 That part of the game is pretty cool in that all of the characters that you meet and talk to are well-known and liked characters from the actual TV show - in fact even when the actual actors from the show were not available to provide the voice work for the game, they made an effort to have the characters sound right. The structure of game play - while predictable - offers an orderly progression just like on the TV show. You start with a crime, then the police investigation, the crime scene, and the witnesses. 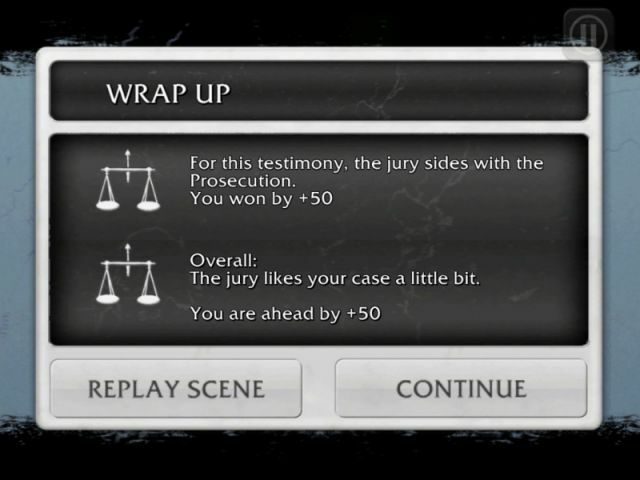 After that there is a series of suspect interviews that eventually results in the arrest, at which point the POV of the game transfers to the DA's Office where the Assistance District Attorney takes the matter to the Jury. At this point the case is in the hands of the Jury, who responds to the arguments and mistakes, of the attorneys (including the ADA). The game presents a scales meter to show how well (or badly) you are doing. How cool is that? While you cannot describe the graphics in the game as life-like -- they are more like a graphic novel than a TV show in terms of both intention and results -- but that works fine for the game because it helps to set the tone. The sounds and sound environment is actually something of a surprise - the use of ambient background sound is a nice touch, but it is the emotional inflection in the witness conversations that really makes that part of the game stand out. Plus they have included the special sounds that are also used in the show to indicate when something important or special has occurred. The detecting process and game play mechanics create a fun and interesting game though thanks to the ability to replay each scene after you have completed it there is very little real challenge. Still a sharp eye (and ears) for details means that you will often have the pleasure of seeing perfect scores for both the Starts to Ace and Bonus Stars categories! Add to that the fact that the game is clearly on a rail, and that neatly explains why it scores a 4 out of 5 and not a perfect 5. The cost of the game is based upon the purchase choice you make - that is to say whether you buy it one episode at a go or you pay for the package deal. Personally if the choice is paying $2.99 per episode that really is a bit steep... Most players will have bought the first episode for $2.99 which is OK and gets you the game but if you pursue that same approach all seven spisodes will end up costing $20.93 plus tax. A better option is to pay the $2.99 for the first episode and then go with the Episode 2 thru 7 package (that is an in-app purchase) for $12.99 and you end up spending $15.98 (so basically it is $5 less). The ability to play in short bite-sized chunks without losing any entertainment value means that this one is well worth your attention. Sporos is a simple yet challenging puzzle ..
Satellina: a simple and elegant "puzzle ..